EOS - European Organisation of the Sawmill Industry | News - Spring 2016 Economic Forecast:The moderate economic recovery in Europe. 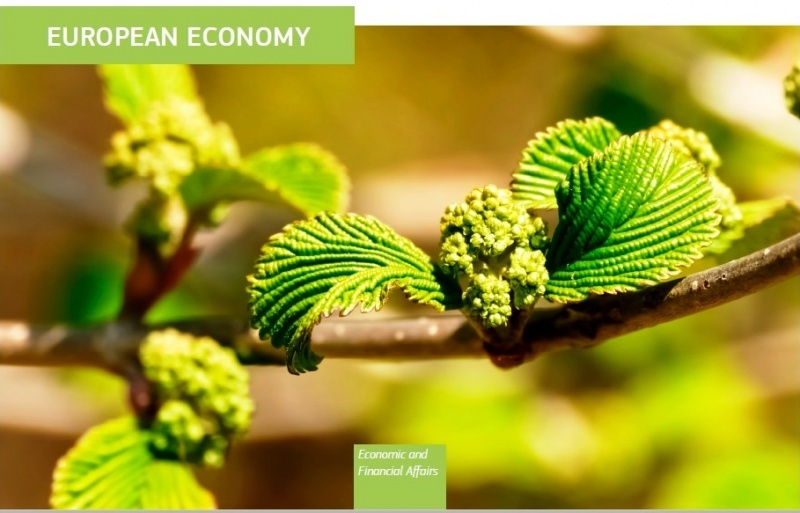 Spring 2016 Economic Forecast:The moderate economic recovery in Europe. According to the latest paper of the European Commission on the European economic developments, economic growth in Europe is expected to remain modest as key trading partners' performance has slowed and some of the so far supportive factors start to wane. As a result, GDP in the euro area is forecast to continue growing at modest rates over the 2015-2017 period. According to its spring forecast, the Commission expects euro area GDP growth of 1.6% in 2016 and 1.8% in 2017 after 1.7% in 2015. GDP growth in the EU is expected to moderate from 2.0% last year to 1.8% in 2016 before reaching 1.9% in 2017. Very accommodative monetary policy has set the scene for a pick-up in investment by making access to funding easier and cheaper. Fiscal policy in the euro area is expected to be supportive of growth this year. But although oil prices fell again in early 2016 and prolonged the boost to real disposable incomes, the strength of this support should gradually fade as the oil price rebounds. Similarly, although euro area exports are still benefiting somewhat from the euro’s past depreciation, the currency’s recent rise could make the euro area more susceptible to the effects of slower external growth. Economic growth is set to rise or remain broadly stable in most Member States over the forecast horizon. The economies of all Member States are expected to expand next year, but growth is still expected to remain uneven across the EU. In 2016 growth will range between 3% and 5% in countries such as Ireland, Sweden, Poland, Romania, and Slovakia. Greece is expected to exit recession next year, and Finland will be the only country other than Greece to post a growth lower than 1%. Euro area net exports are expected to remain a drag on growth in 2016 before turning neutral in 2017. Therefore, growth will depend on domestic demand: investment is expected to pick up next year to 3.8% in both the euro area and the European Union and private consumption is expected to moderate as the expected rebound in inflation will reduce real income growth. The moderate pace of improvement in labour markets is expected to continue, driven by the lagged response to improved cyclical conditions and contained wage growth. In the EU as a whole, unemployment is expected to fall from 9.4% in 2015 to 8.9% in 2016 and 8.5% in 2017. Oil prices fell again at the start of 2016, dragging inflation below zero. It is expected that inflation remains close to zero in the near term as energy prices are lower than a year ago. Consumer price inflation is forecast at 0.2% in the euro area this year (EU 0.3%) and at 1.4% in 2017 (EU 1.5%). Growth outside the EU last year likely fell to its slowest pace since 2009 (at 3.2% in 2015), triggered by the slowdown in emerging markets. The outlook for global GDP growth has weakened further as major advanced economies also slowed – China for instance is surrounded by uncertainty – , and expectations of a modest pick-up are subject to a high degree of uncertainty. The world economy is expected to grow by 3.1% in 2016 and 3.4% in 2017.